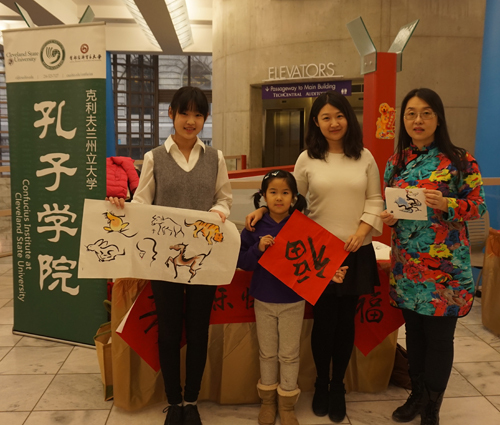 Instructors Lu Geng, Hui Pang, Yufei Guo and Xiaocong Ding, and volunteer painter Yufei Li from the Confucius Institute at Cleveland State University moderated the Chinese New Year Celebration organized by the Cleveland Public Library on Saturday, Feb 3. 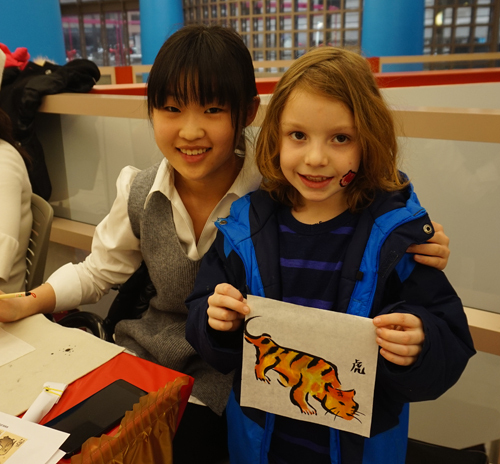 The instructors from the Confucius Institute demonstrated Chinese calligraphy and traditional Chinese painting using the 12 animals of the Chinese zodiac as models for the demonstration. The event was a total, visual feast for the residents in Greater Cleveland. The demonstration started with Lu Geng and Yufei Guo's introduction to the traditions of the Chinese New Year, followed by Hui Pang's interpretation of the cultural significance of the 12 Chinese zodiac animals. 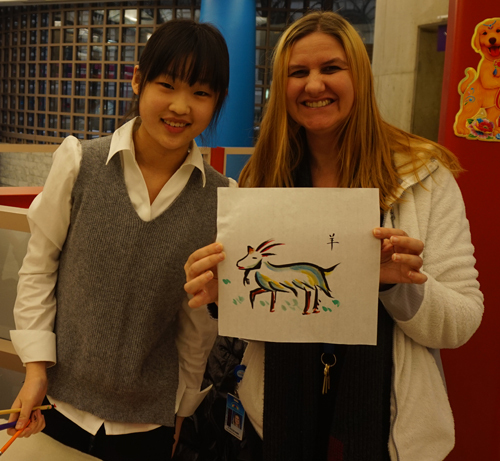 Then, Yufei Li demonstrated how to paint these animals of the Chinese Zodiac, using a brush, and paint. Yufei Li has loved traditional Chinese art since her childhood. 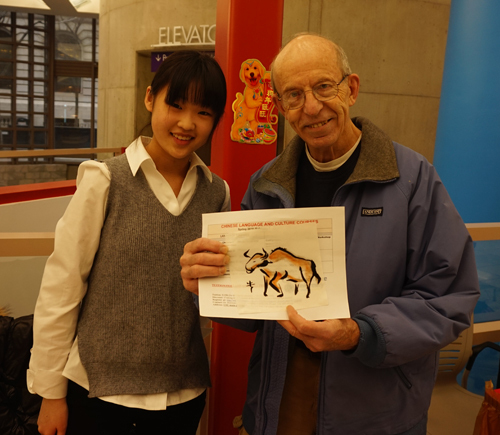 During the demonstration, Yufei demonstrated how to turn drawings of simple lines, and colors into vivid, beautiful pictures of the 12 animals of the zodiac. Residents of Cleveland who attended the event had a good time identifying the signs of the zodiac under which they were born. The attendees of the event praised being able to make their own zodiac animal paintings as one of the highlights of the event. Some attendees, such as this woman, had to wait for quite some time to do their painting. But, the wait was worth it for everyone involved. The Chinese New Year, which is a turning point from the old days to brand-new days, is the most important holiday for Chinese people around the world. 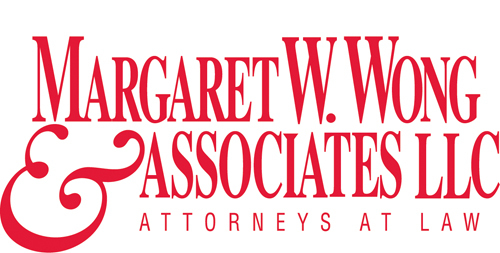 It is a time of reunion for families who have been separated by great distances. 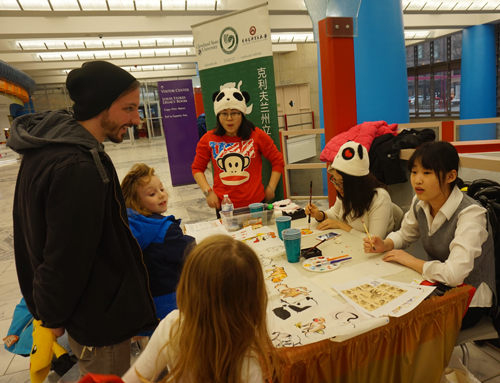 To mark the occasion, the Confucius Institute at Cleveland State University held various New Year's celebrations, in order to help connect both Americans, and citizens of China living in the U.S.
Celebrations, such as the Chinese New Year, are highly praised, and have become an important event for those living in Greater Cleveland.